We are feeling very grateful. 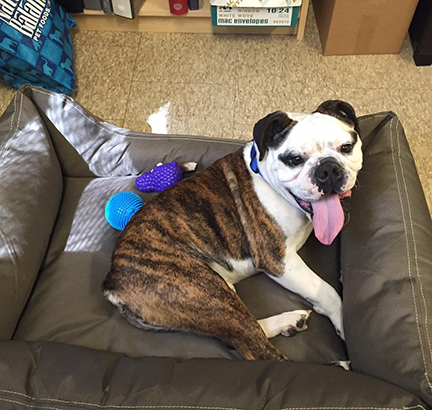 THANK YOU to our FarmHouse Fresh Dog Bed Fairy book purchasers, who in just a few short months of launching our program have helped us donate over $20,000 in dog beds to shelters and rescues across the country! Just landed: Dallas DogRRR (Texas), Lucky Paws (Arizona), A Forever Home Animal Rescue (Florida)... and PAWS Atlanta (Georgia). Just look at the pics Jacki McDonald of PAWS Atlanta sent us as they distributed beds throughout the shelter. 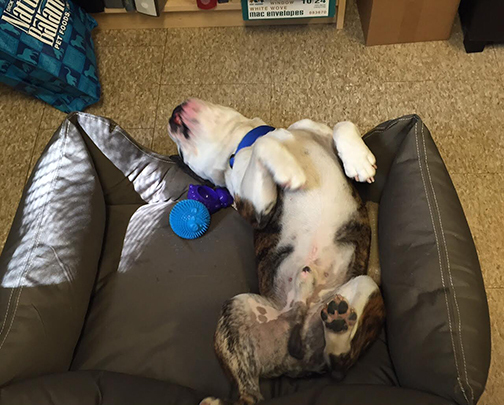 Zipper (an English Bulldog with breathing issues and panic attacks) LEAPT into his bed for the first time and rolled & zonked out in delight! YOU CAN BE A FAIRY, TOO! If you purchase our really heartwarming book titled "Is it true they call you the Dog Bed Fairy? 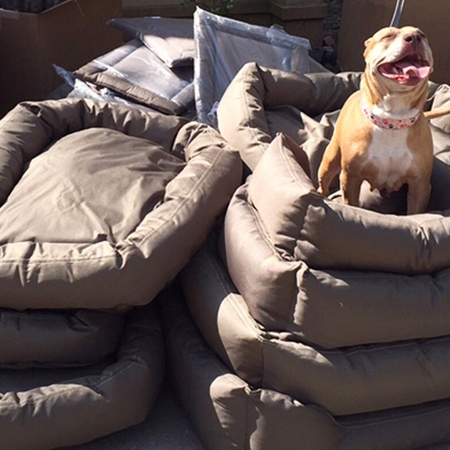 ", we use $7 from the $10 purchase price to purchase and donate dog beds to rescues and shelters. As a book purchaser, you'll find an enclosed bookmark with a special address to email your photo -- we'd love for you to become part of the Dog Bed Fairy Flock! By emailing in your photo, we'll send back your Certified Dog Bed Fairy photo with halo and wings! Visit our Dog Bed Fairy Book page for more details.